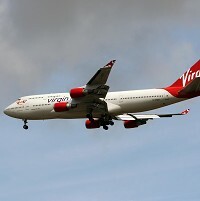 Holidaymakers are likely to suffer travel disruptions after pilots in a dispute over pay at Virgin Atlantic voted in favour of their first strike action in the airline's history, highlighting the importance of taking out a good travel insurance policy. The British Airline Pilots Association (Balpa) said 97% of its members voted in favour of strikes, in a ballot that saw a turnout of 94%. Although the strike dates have not yet been set, Jim McAuslan, general secretary of Balpa, said the size of the poll and the huge majority for industrial action sent a "clear message" to the airline's boss Sir Richard Branson. Mr McAuslan said he was "happy to meet him [Sir Richard] any time and anywhere to resolve this". Balpa, which represents over 85% of Virgin Atlantic's 750 pilots, said its members are angry at a 4% pay offer by the airline, after having not received a salary hike since 2008. The ballot was called after pay talks with the company broke down. Virgin Atlantic said in a statement: "We have contingency plans in place to prepare for any industrial action and will take every step possible to minimise the impact on our customers."